GEO ExPro - How Much Oil &amp; Gas in Central Europe? Carpathian region in Central Europe. There has been a long history of people exploiting hydrocarbon seeps throughout Central Europe since Roman times. Staszic’s 1806 map, for example, identified numerous oil seeps in the Northern Carpathians. During the 1850s the Polish pharmacist Igancy Lukasiewicz was experimenting with ‘rock oil’. He was the first person to distil crude oil in Poland and developed the first paraffin lamp in 1853. In 1854 he opened the world’s first ‘oil mine’ at Bóbrka in Poland, where the original wells were hand dug and about 1.2 x 1.2m in size. The early mines or wells were up to 15m deep, but eventually reached depths of 150m, and by 1868 there were 60 hand-dug wells around Bóbrka – two of them are still in use! The original site is now the Igancy Lukasiewicz Museum of the Petroleum Industry (see their website: www.openairmuseum.pl/skansen/bobrka). In 1856, Lukasiewicz opened the world’s first industrial oil refinery (or oil distillery, to be accurate). An old rig at the Bóbrka petroleum museum in southern Poland. Przykuta. From this simple beginning the oil and gas industry developed across Central and Eastern Europe, with discoveries from Austria in the west to Romania in the east centered around the Carpathians. By 1900, Romania was the largest oil producer in Europe and the third largest in the world, as well as the first country to export gasoline. However, following the Second World War, the region was isolated from the rest of the world’s oil industry, which has led to it being relatively unknown today. This isolation has also resulted in the development of national, rather than international, names for stratigraphic and structural units which makes understanding the geology of the region more difficult, especially when looking at older maps and reports. These hydrocarbon discoveries all fall within the Carpathians, which are the eastern extension of the European Alps. This mountainous region spreads across seven countries of Central and Eastern Europe and has a complex geological history. This article gives a simple overview of the geology and hydrocarbon-producing zones of the region – anything more is beyond the scope of even a series of articles. Simplified geological map of the Carpathians and surrounding area. The Carpathian mountain range can be seen to form an arc running from west to east through the Czech Republic, Poland, Slovakia, Hungary, Ukraine and Romania. Image credit: Jeff Schmaltz, MODIS Rapid Response Team, NASA/GSFC (modified after Golonka and Picha, 2006). and the Transylvanian Basin in Romania to the east. These three central basins, along with the outer Flysch zone of the Carpathians and associated thrust belt, make up the hydrocarbon provinces of the region. Pumps on the Matzen field in Austria in the Vienna Basin. Discovered in 1949, it is the largest field in Central Europe. Image credit: Techcollector The Carpathian National Park in Ukraine. 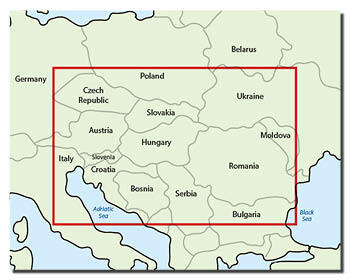 The name Pannonian comes from the Roman Province of Pannonia which partially overlapped the basin, although in Hungary it is referred to as the Carpathian Basin. It is a complex system of Neogene sediment-filled sub-basins which overlie deformed and faulted nappes of Mesozoic, Paleozoic and Precambrian rocks, extending some 600 km from east to west and 500 km from north to south. The structure of the region is the result of the convergence and collision of the European plate with smaller continental plates to the south during the Cretaceous and Miocene. The basin has been the primary petroleum area of the region and the reservoir rocks reflect the complex geological history of the area. Around 62% of the region’s oil production comes from Tertiary (Neogene and Paleogene) sediments and a further 24% from Mesozoic carbonates, with crystalline basement reservoirs making up a further 5%; 70% of natural gas production is from Tertiary reservoirs. It is common for production to come from multiple zones. For example, the largest oil and gas field in Hungary, Algyö, produces from fractured Paleozoic metamorphics and Miocene conglomerate and sandstone. Elsewhere, there are wells which produce from weathered and fractured granites, quartz porphyria, mica and carbonate schists as well as Miocene conglomerates and sandstones. Similarly, there are numerous source rocks, ranging from Triassic organic-rich shales and marls in the basement complex through to Cretaceous and Miocene formations. The Miocene shales and marls are thought to be the principal source of oil and gas in the region. 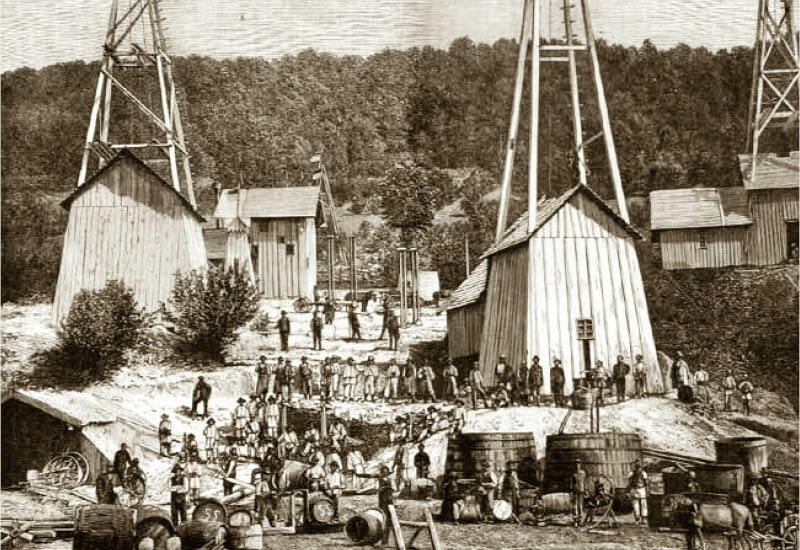 Drilling rigs in western Galicja in 1881. 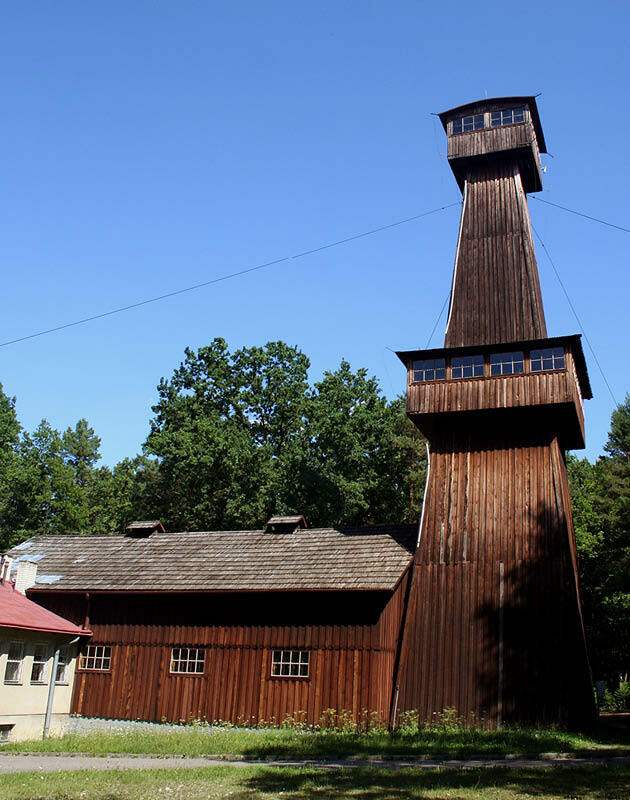 Now part of Poland, this region included the world’s first ‘oil mine’ at Bóbrka. The Pannonian Basin has relatively high geothermal gradients, averaging 3.6°C/100m, so these organic-rich formations generate hydrocarbons at relatively shallow depths, with oil typically generated between 2,000 and 2,500m and gas below 5,000m. It appears that there is considerable migration both vertically and horizontally, with the reservoirs often being found in thermally immature rocks. Within the basin most oil reservoirs are between 500m and 2,500m deep and the gas reservoirs slightly deeper. 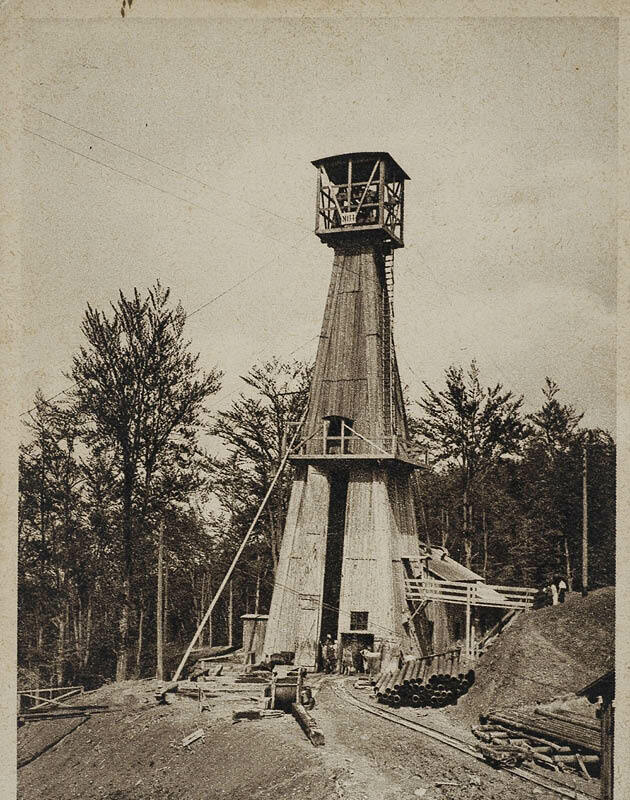 Since the first hand-dug wells in the 1850s the area has been extensively explored and about 500 fields have been discovered, with the first commercial gas field found in 1917 and the first commercial oil discovered in 1937. 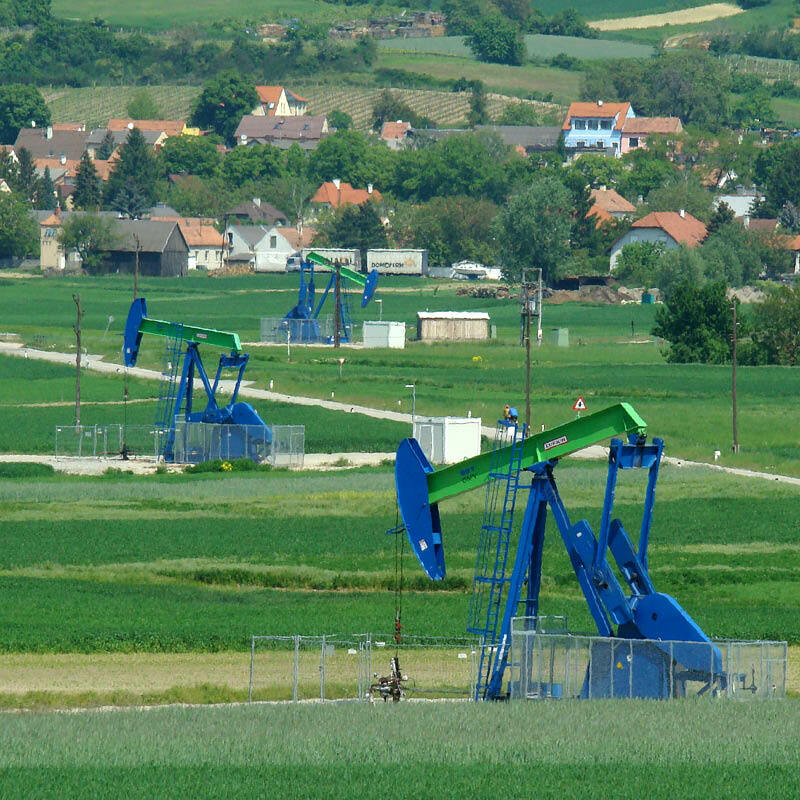 It is estimated that over 5,200 exploratory wells were drilled between 1935 and 1990 in Hungary alone. In 1994 Hungarian oil production reached an all-time high of 46,000 bopd, but since then it has shown a steady decline and currently averages around 14,000 bopd. The Vienna Basin is the smallest of the basins within the Carpathians and extends through Austria, Czech Republic and Slovakia. As with the Pannonian Basin, production comes from a range of formations including fractured Triassic carbonates in the underlying nappes and multiple mid-Miocene sandstones. In 1913 oil was discovered at the Egbell field in what is now Slovakia but was then the Austro-Hungarian empire. In the following years several more fields were found and in 1949 the largest oil field in Central Europe, Matzen, was discovered with total estimated reserves of 510 MMbo. Bitkow Oil Well in Ukraine. The Transylvanian Basin is the only one of these hydrocarbon-producing regions that lies within a single country, Romania. It is also the only region in the Carpathians that produces no oil, but it represents nearly 70% of Romania’s natural gas resources. It is separated from the main Pannonian basin by the Apuseni Mountains to the west and is surrounded on all other sides by the Carpathians. The ranges were uplifted during the Pliocene to Holocene resulting in the shape of the basin. Over 7,500m of sediments were deposited in the deepest parts of the basin near the center and along the north-eastern edge. The sediments have been disturbed by the movement of thick Miocene evaporites which have formed salt domes up to 15 km in diameter in the central part of the basin and northsouth diapiric folds along the perimeter. Unlike the Vienna and Pannonian Basins, the Transylvanian Basin is the result of much more localized tectonic and sedimentary activity. The whole process of source rock and reservoir deposition, hydrocarbon generation, migration and accumulation occurred during the Miocene and Pliocene. The Carpathian National Park in Ukraine. Image credit: Moahim. The source rocks are Miocene non-marine and brackish water shales and the gas appears to be generated from organic material that is dispersed throughout the formations rather than from a single rich source rock. The thick evaporites that underlie these sediments effectively separate the basin from any deeper hydrocarbons migrating from older formations. The reservoirs consist of Miocene to Pliocene marly sandstones forming hydrocarbon traps such as domes and anticlines through salt diaprism of the underlying Miocene evaporites. The basin has been explored for more than a century, with the first natural gas being discovered in 1909 and Romania’s largest natural gas field, Deleni, discovered in 1912. The length of exploration combined with the geological complexity is thought to limit the number of fields left to discover, although little work has been done on the geology below the evaporite layer at the base of the Neogene. 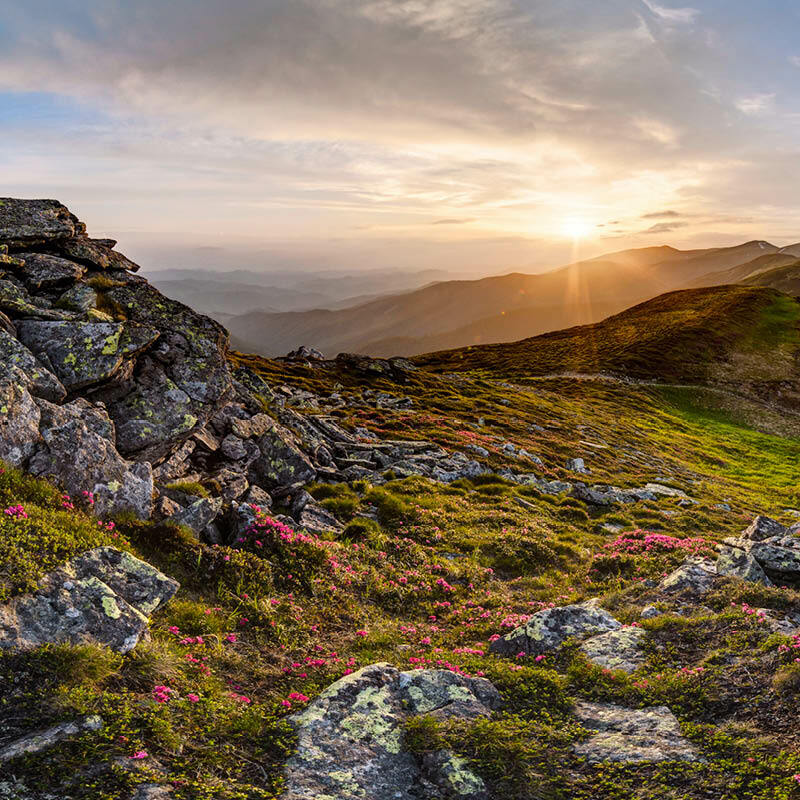 This is the outermost zone of the Carpathians and is 1,300 km long, stretching along the whole length of the mountain range. It is formed from Cretaceous and Paleogene sediments – the flysch which have been thrust onto the European foreland. As the name suggests, flysch is a sequence of repeated sedimentary rock layers which were deposited on the edge of an orogenic belt. They are typically formed by turbidity currents and the Carpathian Flysch was one of the areas where the concept of deepwater turbidites was developed in the 1950s. The flysch basins were thrust over the stable European platforms during the Cretaceous and Miocene in a series of nappes which overrode the molasse deposits that were being deposited there. This has resulted in the molasse deposits being integrated into the flysch nappes, forming the complicated geological assemblage of the folded and thrusted flysch belt and the overlying Carpathian foredeep. The Apuseni Mountains in Romania divide the Pannonian and Transylvanian Basins. Image credit: Nicu Farcas. A number of Total Petroleum Systems (TPS) have been identified over the region. and the Paleozoic Composite TPS. The Isotopically Light Gas TPS is located within the undisturbed Miocene molasse of Austria, Poland and Ukraine and is predominately methane in structural or stratigraphic traps. 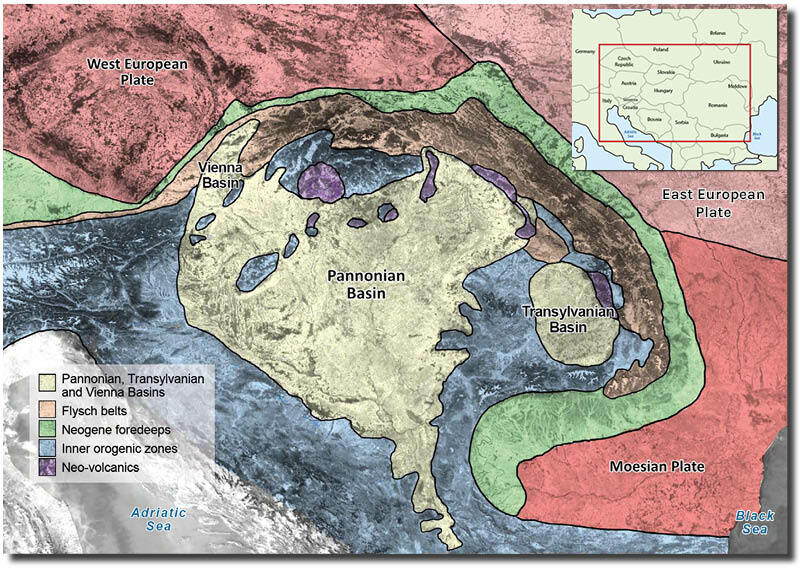 The Mesozoic-Paleogene Composite TPS includes most of the Polish and Ukrainian oil fields that are found both in Paleogene and Cretaceous flysch nappes and in the Paleozoic-Mesozoic basement, with Miocene molasse deposits often providing the seal. The Paleozoic Composite TPS extends from the eastern Czech Republic along the Polish border into south-western Ukraine and consists of Paleozoic formations underlying the flysch and molasse, which act as a seal. This system is deeper and much less understood than the younger, shallower systems. The eastern and southern part of the Carpathians borders the Transylvanian Basin in Romania. Again, there is a series of flysch deposits that have been thrust over older platforms. This region contains the world’s second largest producing oil mine at Sarata Monteoru where the oil is produced from galleries 240–320m below the surface. and the Dysodile Schist-Tertiary TPS. The Moesian Platform Composite TPS stretches from the edge of the flysch zone in the west to the Black Sea in the east. It contains most of Romania’s oil reserves in Miocene reservoirs, as well as Triassic, Jurassic and Cretaceous reservoirs. The younger Dysodile Schist-Tertiary TPS includes Oligocene and Miocene flysch deposits. As can be seen from this very brief overview of the region, there is a great diversity in the geological environments, as well as the types of hydrocarbons, both in their formation and preservation. Central Europe is one of the oldest developed oil and gas regions and despite the amount of exploration and production that has taken place in the last 164 years there are still fields to be found. The complexity of the geology of the region along with the exploration history suggests that there are still likely to be numerous small discoveries to be made. This may not attract the attention of the larger oil companies but could potentially offer smaller companies great opportunities. In addition, there are relatively unexplored areas such as below the evaporites in the Transylvanian Basin or the deep Paleozoic Composite TPS in the northern Carpathians which may offer new prospects.